Some people think that Manhattan is the end-all and be-all of New York. Some people think that this island runs superior to every other city. Many of us know that is simply not true. We are a community of multiple burrows and while visitors flock to the restaurants in midtown, downtown and uptown, the rest of us venture out to the outskirts and burrows were cuisine is inventive, affordable and catering to foodies who desire something beyond tourist traps and chain restaurants. This is exactly why I took the L train to Williamsburg in Brooklyn to see what all the heavenly praise is about The St. Austere. The St. Austere opened in 2011 with a mission to feed locals with authentic Italian cuisine from the mother country but with an updated touch for today’s foodies and the flocks who have taken over Williamsburg. A trendy, hip neighborhood? Yes. Original cuisine with homemade pasta? Yes! 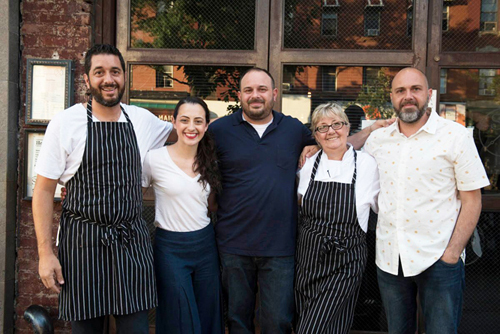 The family has kept the tradition alive in the age of restaurants that change ownership rapidly or disappear due to high rents and cost control. Back to basics, la famiglia running and building this establishment are Fabrizio, Jacqueline, John and Mike. 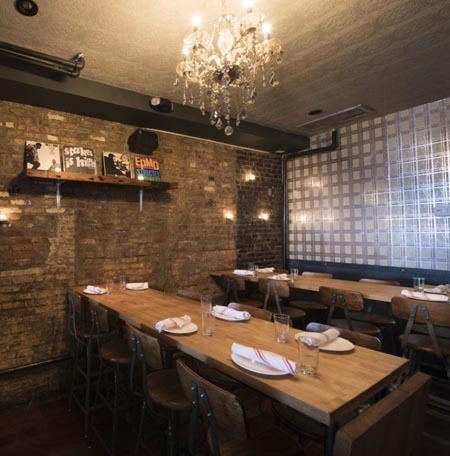 The small and narrow dining room is appointed with rustic wood tables and industrial sconces as well as suspended bar lamps, the bar offers plenty of seating and there are two communal tables in the back. Once again, the focus is on the food with little distractions on décor (no Capodimante or suspended Chianti bottles stuffed with candles here), while the retro music keeps the ambiance lively especially after the 8:00 hour. They boast and emphasize their wine list, some of the vineyards are related to the family, but that is beyond my realm. I’m more about the cuisine. I asked the bartender to recommend a cocktail to start my dining experience. He pointed out several options including a wine list that is extensive and well balanced for all tastes. I chose the Pina Margarita (above) made with charred pineapple, Del Amigo Mezcal, orange liquor, agave and lime. Refreshing. This cocktail is beautifully presented by John the bartender. I also suggest you ask him to make one of his famous Barrel Aged Negronis – Edinburgh gin, Campari and Vya Sweet Vermouth. This is one of the best classic Italian cocktails to reach my lips. 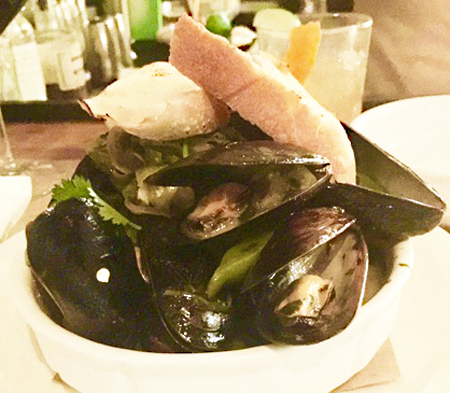 For starters, I strongly recommend The Mussels. Steamed perfectly with garlic, white wine and garnished with cilantro — the shishito peppers in the broth give this dish an extra kick. If you don’t like spicy, ask the server to hold off on them. The flavors are intense and while I enjoyed this dish, the salt content was off the charts. 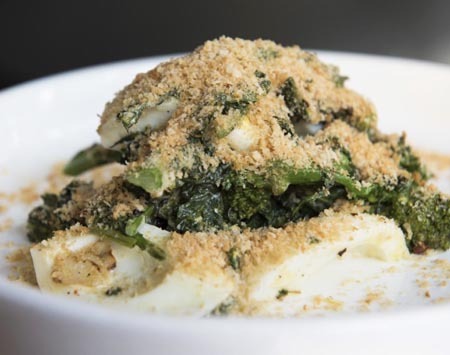 In the “Small Plates” list, I chose the Broccoli Rabe – This creation is above par, on point and delicious — prepared with anchovy, parmigiano, boiled egg and panko breadcrumbs. The combination of ingredients is very well balanced with flavors and textures that hit my taste buds with an impressive jolt. I give it 5 thumbs up. 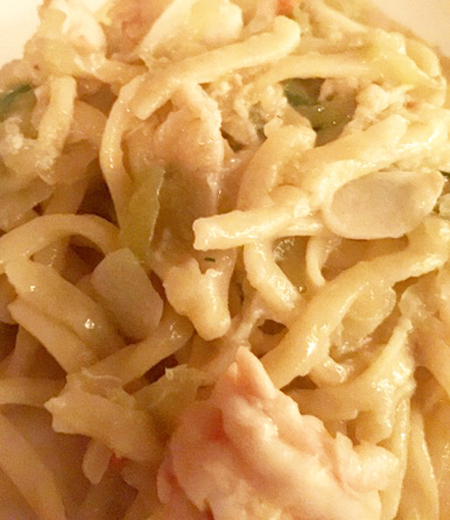 The Trenette is a house-made pasta dish with shrimp, lump crab, jalapeno and green tomatoes. Tossed all together in a relatively small portion, I was impressed with the amount of shrimp and crab. The green tomatoes and jalapeno brighten up the dish with a good amount of tang and heat. Another pasta option is made fresh in house. 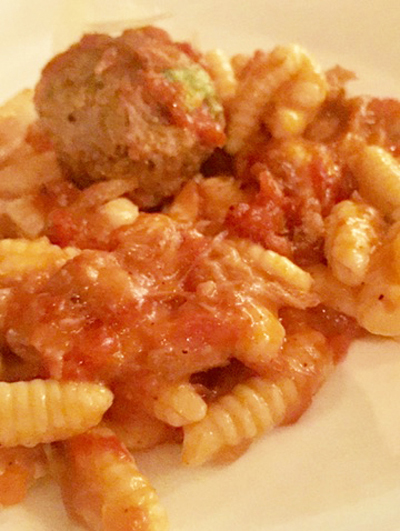 The Cavatelli is mouthwatering and served in a red sauce with pork sugo, baby meatballs and pecorino. I couldn’t finish this portion so I got it to go. Five hours later, I found myself shuffling to the refrigerator and very pleased to find the leftovers. This dish is robust and tangy with pasta cooked correctly – al dente. The St. Austere is one of those small businesses that brings life back to the 3-story buildings lining Grand Street in Brooklyn. Here is what’s new. Pasta Thursdays: All pastas are $10 all night with a select menu by Chef Michael Pirolo. There is a daily Chef’s Tasting Menu consisting of 4 courses for $55 per person or $80 per person with wine pairings. The St. 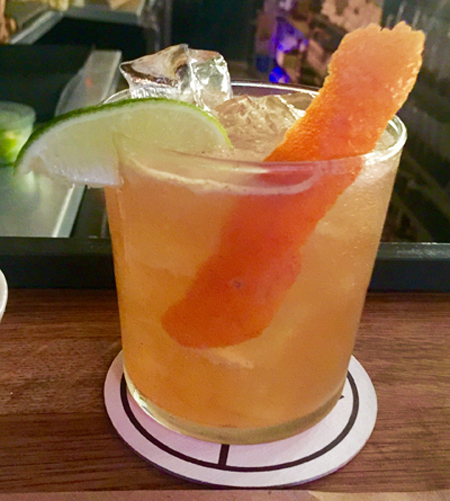 Austere Happy Hour offers various bites as well as discounted red or white wine and $4 tequila shots. While the L train is scheduled to close for renovations, there are other ways to get to Williamsburg and The St. Austere is well worth the pilgrimage. Picture Credits: P.K. Greenfield and The St. Austere (Liz Clayman). 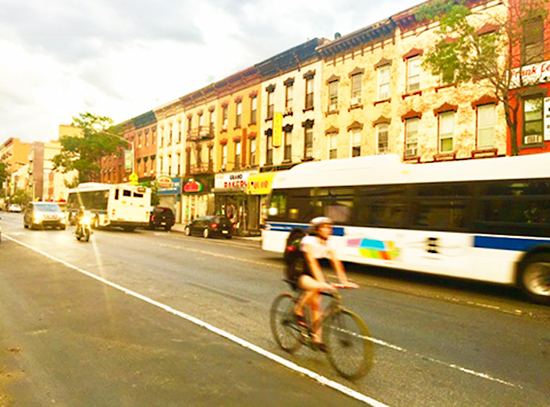 Read City Pulse every month to learn what’s happening in and around NYC.